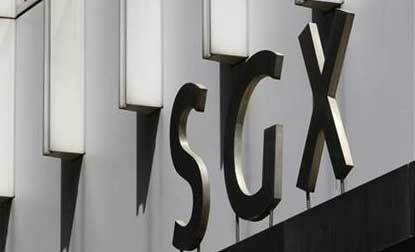 SGX stands for Singapore Exchange. 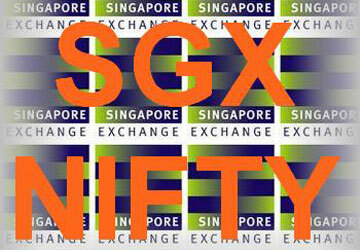 SGX NIFTY is a derivative of NIFTY index traded officially in Singapore Exchange. Not all the shares comprising of the NIFTY are traded there. It is a competitive product for NIFTY futures, the transactions of which are settled in Singapore stock exchange. Nifty futures on the SGX is traded for 16 hours on that exchange while the NIFTY now trades for six-and-half hours on the NSE stock Market in India. Investors who are unable to access Indian markets, but who want to take an exposure in Indian market trade in SGX Nifty. As India and Singapore are in the same continent and due to global effect of share trading, the SGX nifty also indirectly related to the SENSEX and NIFTY. After the globalization of share trading, when countries can trade with one another, any change in the economic performance of one country has impact on the stock prices of another country. SGX Nifty thus moves with respect to the Indian Nifty. The SGX Nifty opens at 8:00 am all working days and gives the initial direction of the Indian share market. The Singapore Nifty is lot more volatile than the Indian NIFTY. The factors that influence its volatility have little to do with the factors that direct the NSE Nifty. The time difference causes the SGX Nifty to open before the NSE but since most traders wait for the NSE trading to start before they trade SGX Nifty, there is little effect that it has on the NSE. Stock Exchange performance is anyway dependent on the news of the days, and the international market performance plays a much bigger role in how the NSE performs each day. SGX Nifty trend is the first indication of initial direction of Indian stock exchange. India stock market open in morning at 9:00 AM that is pre-opening session and actual trading start at 9:15 AM and trading closes at 3:30 PM, where as SGX is available to trade between 6:30 AM to 11:30 PM as per Indian time, allowing investors to trade even when Indian Markets are closed. Singapore Nifty (SGX Nifty ) is the Indian Nifty that is traded in Singapore Exchange. It is usually the first indication of initial direction of Indian stock exchange. SGX moves along with Indian Nifty. So, it serves as a prediction factor for NSE market and the traders. SGX nifty offers foreign investors to invest in NIFTY Futures. The SGX Nifty takes cues from the Indian Nifty, and since the Indian Nifty also takes cues from domestic factors, global economic factors and geopolitical news that being reported across the world, so in reality, SGX Nifty has little to no affect on how the NSE performs during the day.